The East End of Long Island is lush and bucolic, which also makes it the perfect setting for pests. The twin forks abound with trees, grass, and plants, exactly where the dreaded tick and troublesome mosquito take up residence. 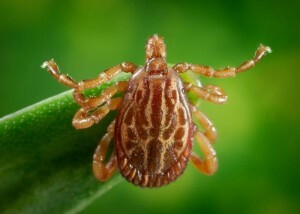 Usually dormant – not dead – through the winter here on Long Island, deer ticks are rejuvenated come spring and will lay their eggs (anywhere from 1,500 – 3,000 each) through the end of April. Mosquitoes will also reappear with the commencement of the warmer weather. These insects in particular pose serious health threats, carrying dangerous diseases and illnesses, such as Lyme, Zika, Rocky Mountain Spotted Fever, and more. Initiating a comprehensive treatment plan now, at the beginning of spring, will help manage the population growth throughout the season. But many of us, as much as we’re both frightened and annoyed by these insects, are concerned about how to eliminate them without harming anything around them. Conventional pesticides are toxic and are a tremendous health concern. Aronica Plant Healthcare can treat tick and mosquito infestation naturally. We specialize in organic tick and tree spraying programs that are not only safe for people and pets, but are also harmless for tree and plant life. The compounds we use are non-toxic and pure – a “green” method that actually works. Inspect the family pet as often as possible – they are notorious for giving these pests a free ride into the home. And invest in a good tick collar…worth every penny. For optimum prevention and peace of mind, call us today find out more about our organic tick and tree spraying service. Our team visit your property, explain the process, and recommend the best course of action.